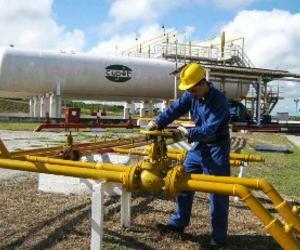 The Camaguey fuels trading company, belonging to Union Cuba Petroleo (CUPET by its Spanish acronym) is one of the institutions nominated for the 2015 Latin American Quality Award of the Latin American Foundation for Quality Management (FUNDIBEQ). Donaysis Remon Leon, technical director of the company, said that the requirements to aspire to that prize are being focused on customer, leadership of the direction, behavior of employees toward goals and projections, and development skills and training. She noted that these points are included in a form that is sent to the founding body of the award, ascribed to the Ibero-American Summit of Heads of State and Government , and that is the first phase of evaluation to the postulates, which should be approved for proceed to the second stage. The Camaguey fuels trading company also holds the National Environment Award for the work of its business unit of liquid gas in protecting the environment, monitoring of gas and appropriate treatment of chemicals to prevent contamination.